Sophisticated protection for your acoustic guitar. 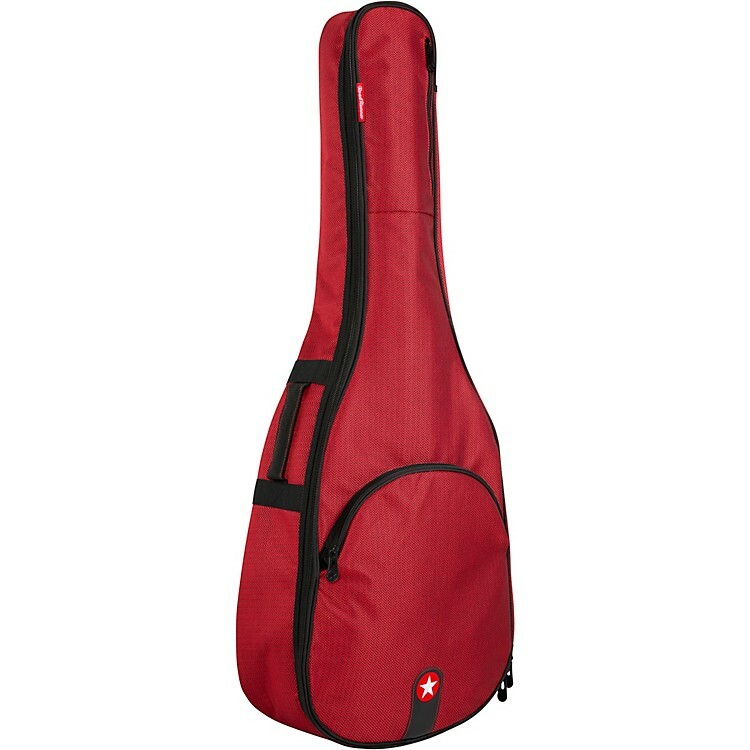 The Road Runner “Avenue Series” Red Tweed Acoustic Gig Bag is ideal for musicians who want full-time protection for their acoustic instrument whether at home or around the neighborhood. Perfect for defending your gear against in-home accidents as well as light-travel nicks, scuffs and scratches, the Avenue Series RR1AGR features a rugged, weather-resistant exterior that withstands local cartage from your home to rehearsals, practice, jams or lessons. The reinforced interior panels protect wear prone areas from bridges and machine heads. You’ll also find external pockets for sheet music, mobile tablets, cables, straps and more, and an exterior bottom rubber guard for extra floor-to-instrument protection. This eye-catching backpack-style bag comes with an elegant, fashion-forward red/black tweed covering that complements vintage as well as modern guitars.